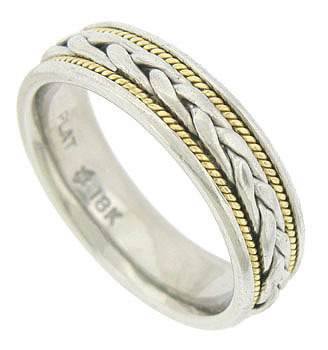 This handsome mens estate wedding band is handmade and crafted of platinum and 18K yellow gold. 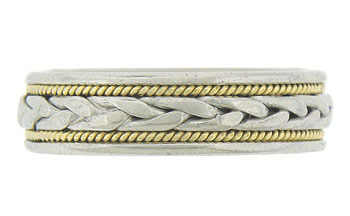 The wedding ring is decorated with a broad band of platinum framed by fine twisting yarns of yellow gold. 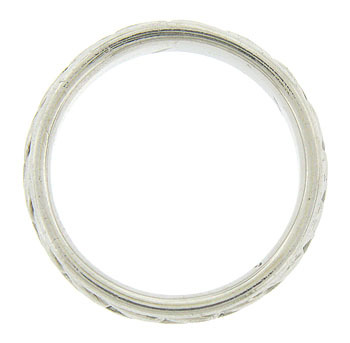 The edges of the ring are smooth polished platinum. The ring measures 6.78 mm in width. Size 10 1/2. We cannot re-size.